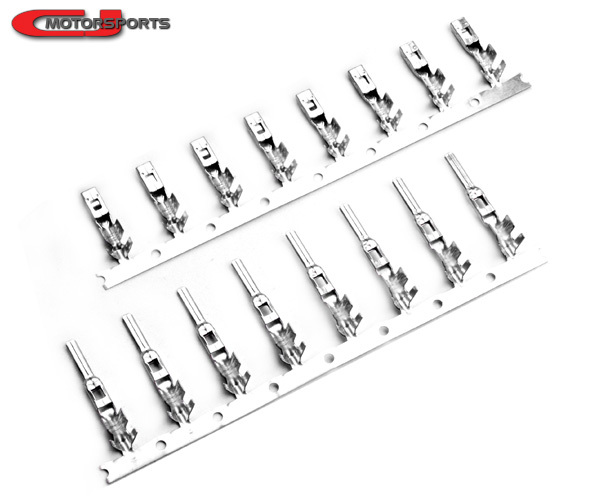 These are replacement terminals for CJM 6-position connectors. The female terminals (top row) are used for both the in-tank and out-tank connectors for all CJM fuel pumps. The male terminals (bottom row) are used only with the connector in the CJM Harness Disconnect Kit. Sold as SINGLES. For a strip of 8, set quantity to 8.